Sometimes in the Ontario Hockey League, trades really do come out of the blue. When Chris Van Laren stepped off the team bus in Oshawa one Sunday last month, he was still a member of the Sudbury Wolves. 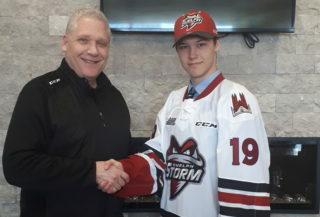 Not too long afterwards, he had to start thinking of himself as a Guelph Storm. Van Laren, a 19-year-old defenceman from Kingston, changed teams at the OHL trade deadline when he was acquired by the Storm for blueliner Ben Chiarot and a pair of second-round draft picks. And unlike the multitude of players around the league who ask for or demand a trade, he never saw it coming. “The trade came completely by surprise,” said Van Laren, a former third-round pick of the Niagara IceDogs who was dealt to the Wolves during his rookie season in 2007-08. “I got off the bus in Oshawa and (a teammate) told me coach wanted to see me. He gave me the option (of being traded) and obviously I took it. Sudbury said they wanted to get younger on the blueline. I actually found it harder (to be traded) the second time. I was there for two years. Like overager Ryan Gottschalk, another veteran defenceman the Storm traded for this season, Van Laren brings a level of reliability, understanding of defensive play and maturity Guelph head coach and general manager Jason Brooks was looking for when he decided to deal Chiarot, a second-round pick whose development seemed to have plateaued. And with Gottschalk and Corey Syvret graduating at the end of this season, the Storm had an opening for somebody with Van Laren’s experience. Looking at Van Laren’s offensive numbers, it’s easy to see why he’d never get confused with Doughty, one of the top point-getting blueliners to ever play in Guelph. In 160 OHL games, Van Laren has just five goals and 23 assists. His career best is 13 points in 2008-09 and he’s managed just one goal and seven assists. But,at the same time, the 6-foot-2, 200-pounder has racked up 301 minutes in penalties. That’s not to say Van Laren will drop the gloves on a frequent or even regular basis. In eight games with the Storm, he’s fought twice.But opponents have learned he is quick to come to the defence of a teammate. When 6-foot-4 Daniel Zweep of the Owen Sound Attack drilled Guelph’s Cody McNaughton, who stands 5-foot-9, with a questionable and unpenalized hit in a recent game, Van Laren didn’t skate away. “If a guy is going to hit one of our younger, smaller players, I’m going to fight,” Van Laren said matter-of-factly. It’s unlikely Brooks wants Van Laren scrapping all the time anyway. His value comes when he’s on the ice and playing his game, which means locking down the defensive zone. Still, 2009-10 hasn’t been as smooth a ride for Van Laren as you might expect. 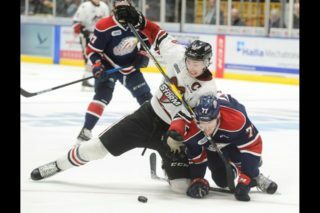 It’s certainly bumpier than he felt it would be, given that it’s his third season in the OHL. Take it for what it’s worth but the Storm, struggling through an inconsistent season and currently out of the playoff picture, has played much better since Van Laren arrived. 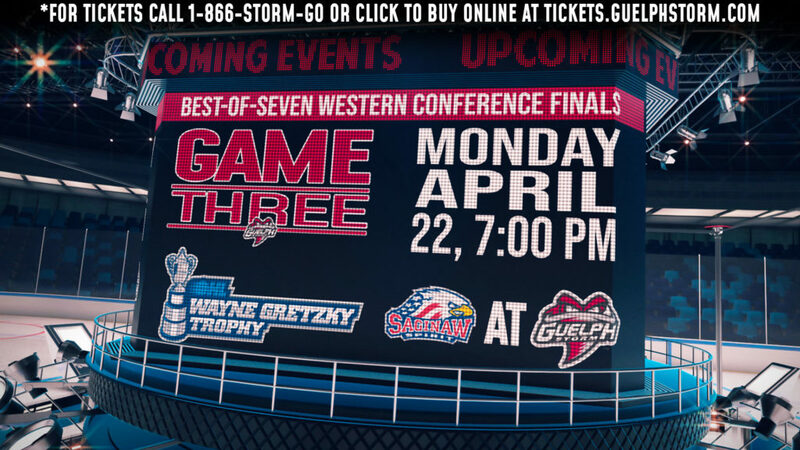 Guelph is 5-2-1 in that stretch and given its fans a glimmer of hope that the home side won’t miss the post-season for the first time in nearly two decades. But Brooks doesn’t want Van Laren, who hasn’t been drafted by an NHL team, to get too comfortable with his new surroundings. 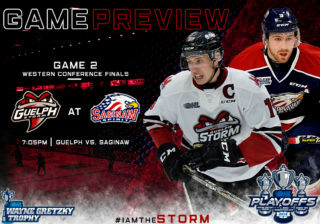 Throughout the 2009/10 season, articles written by Dave Pollard will be published exclusively on GuelphStorm.com.